Fourteen months ago on a cold evening, I joined with thousands of people at John F. Kennedy Airport chanting, “Refugees are welcome here!” It was an intense, at times overwhelming experience. This past Tuesday night, leaders of our congregation with crumbs of matzah still symbolically in the folds of our clothes, stood in the increasingly deserted arrivals hall at JFK, waiting with baited breath for a family to enter the United States – a family that we are committed to helping resettle. And then, finally, almost 2.5 hours after they landed, they emerged. The family was tired after a 12-hour plane flight filled with babies screaming all the way from Amman, exhausted from a nearly 5-year process of seeking entry to the United States. Tears filled my eyes as we welcomed a 74-year-old man, a 57-year-old woman, and their 21-year-old son – all Muslims – to the United States for the very first time. I can now say that two of the most emotional experiences of my life have taken place at JFK! There are some 65 million refugees in the world today – a terrible and challenging number. And while the Trump administration has set the quota of refugees the United States will welcome this year at a historically low 45,000, at the current pace, less than half that already ridiculously low number will be permitted to make their way to safety here in the United States. The family we have welcomed is originally from Iraq. 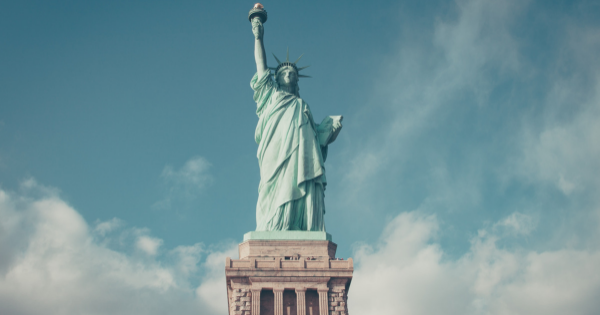 They entered the United States not as refugees in the technical sense, but on Special Immigrant Visas (SIV), generally given to people who helped the US Military in some manner in Iraq or Afghanistan. We now know that the father in the family was a contractor who worked with the Coalition Forces. After a time, the family began to receive death threats. Their older son was soon afraid to leave their home as a militia waited outside each morning to threaten the family. They left everything behind and fled to Jordan, and have spent much of the last five years applying for SIVs to enter the United States. Thanks to the incredible dedication and generosity of more than 100 members of Shaaray Tefila, we were able to bring this family to a temporary apartment before we bring them next week to a permanent residence. Congregants have given money, items to outfit a new home, in-kind donations to help the family settle in, and so much more. Members have used their connections in extraordinary ways; arranging for a $1500 grocery card; donating ten days of temporary housing for the family. I am in awe, though not surprised, witnessing our community’s willingness and capacity to give, and we look forward to finding a time to honor and publicly thank all who contributed. For security reasons, it is as yet unclear how much exposure to the congregation this family will want or be able to have with the synagogue at large. But they have already begun, in less than 24 hours, to express their gratitude to all of the people who have helped make this possible. My friends, we have come out of Egypt once again. We have put away the Passover dishes and the matzah cake meal for another year, and I am so proud to say, and hope you are too, that I am part of a congregation that is engaged in the ongoing work of liberation and continues, in a broken world, to enact its commitment to fixing the brokenness.